The event will host participants, mostly youth leaders, emerging entrepreneurs and students. In attendance will be fellows, alumni and trainees and beneficiaries of various exchange programs, summit, forums, internships, scholarships and top-talking youth development programs. The goal of the summit is to ingrain a sense of self-development, to encourage, inspire and guide participants to pursue avenues that will ultimately improve their worth, skills, network and boost their potentials towards societal change. Our well-resourced panelists will be sharing insights and experiences on matters of leadership training, prospects, capacity building, volunteerism and the essence of self-development through opportunities. Get the chance to meet like-minded young influencers. An opportunity may change your life! The event will host participants, mostly youth leaders, emerging entrepreneurs and students. In attendance will be fellows, alumni and trainees and beneficiaries of various exchange programs, summit, forums, internships scholarships, and top-talking youth development programs. 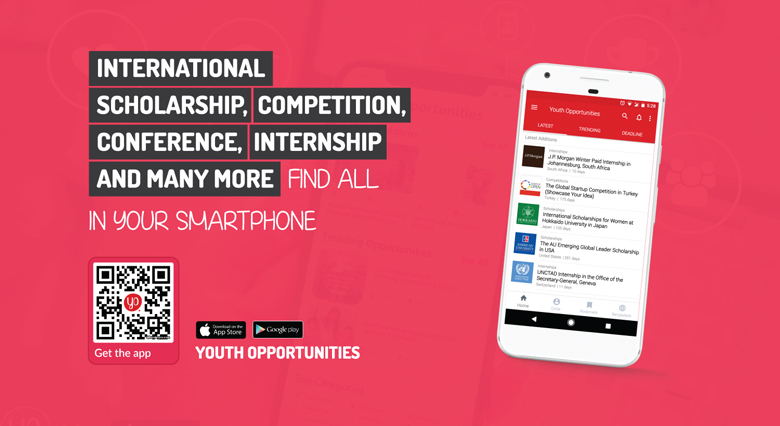 Youth Opportunities is the largest opportunity discovery platform for youth across the world. Millions of youth have trusted Youth Opportunities as the most effective platform to find latest opportunities for free and avail important educational contents for continued self-development. As a global youth development platform, YO provides easy and instantaneous access to unlimited opportunities to millions of youth for free. YO thrives on promoting youth development and thus, produces and delivers high-quality, value-additive educational and capacity building materials. The purpose is to facilitate young people in translating every opportunity into success. 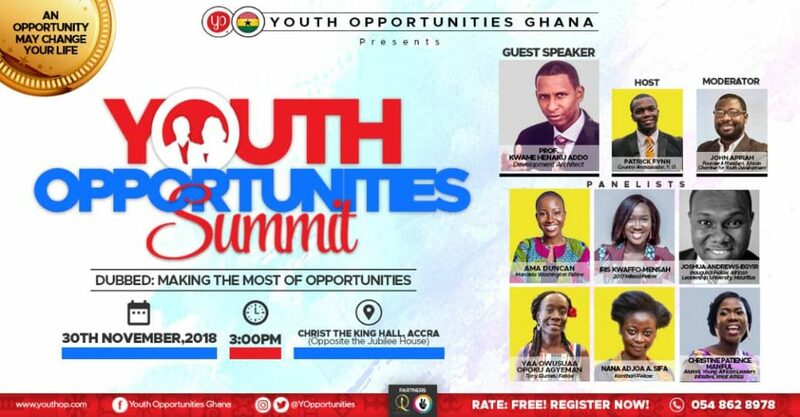 YO works relentlessly to create an efficacious bridge between opportunity seekers with opportunity providers for mutually beneficial development through sharing of information. The program is open to everyone residing in Ghana.